Happy weekend! 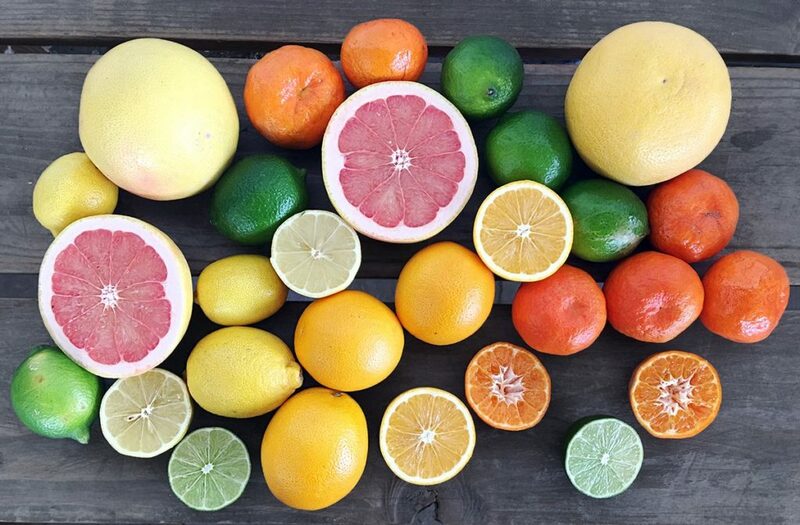 What an amazing selection of flavors coming your way next week. Strawberries, asparagus, living lettuce, and green beans just to name a handful. In many of my newsletters, emails, texts, phone calls, and handshakes I sign off by saying “Thanks for your support.” I use it so much that I feel that people probably think that I use it instead of a blasé “Have a nice day.” But I do not. It is very intentional. Every morning I wake up I am acutely aware that the only reason that I have a job to go to today is because of the support of our community. So what is different about this week? Why write a newsletter about it now? Arizona. 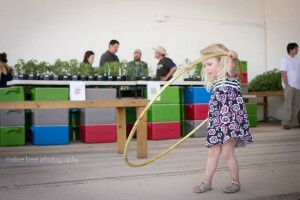 For the last 16 months, we have been trying to bring more local and regional food to the folks in Arizona. Tucson and Phoenix specifically. We work with so many great Arizona producers that we wanted to bring their food and their stories to more doorsteps in a convenient way. Over the last 15 months, we have seen 6 CSA/home delivery companies close their doors due to a lack of support from the communities. Six different visions. Six different models. All driven by passionate owners/employees who believed in building a better and more sustainable food landscape. All of the support for those companies dwindled to the point where it was no longer financially sustainable to continue. But we were going to be different. We had 13 years of experience in NM with numerous trials and errors. We had the support of local growers. We were going to be different. Well, we haven’t been able to garner the support that we need in Arizona to continue to make this a viable business. And right about now I have been having flashbacks to my high school Economics class with Mr. Jenkins. Econ 101: Opportunity Cost. In its most basic sense, an opportunity cost is what you give up by trying to achieve something else. Example, how much salary do you give up by going to school instead of working? So you would hope your post school salary makes up for the years (decades) of lost earnings. For us Opportunity Cost looks more like mental bandwidth. We have only so many hours in the day. So what is the best use of our resources? Do you try and help more communities or do you deepen (strengthen) your roots in the places that you already call home? It is the fork in the road that many businesses find themselves. And it is the fork in the road that I am going to backtrack to and choose the other road. By my nature, I want to feed as many people healthy food as I can. I love our food and our mission so there is this yearning to want to share it with as many people as possible. But in this case, I need to be realistic with myself and you. I am a New Mexico kid. 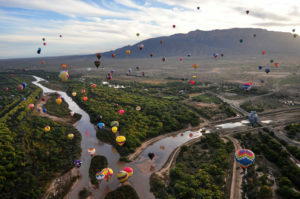 I was born and raised on the banks of the Rio Grande. My family is here and our roots have been in the soil of New Mexico since the ’60s. This state is quirky and a bit weird, but I love it. And I am committed to help build a beter food system for this state. In the first newsletter of this year, I promised you that 2017 would be the year of Authenticity for the farm (and me). And so this move to close down our Arizona operations and focus our energies completely here at home feels right. It feels natural. And yes, it definitely feels authentic. With all of that said, I need your help and continued support of this farm. We have launched a new web site with an easy ordering system. I think we have all of the kinks worked out of it finally. Now the foundation is in place and it is time to build. I do not want to see our local food businesses and farms close down due to lack of support. All of us (you and I) are responsible for the businesses that call our towns home. If we want economic diversity in our communities, we have to mindfully support them. No business is around by accident. So to help kick-start this spring, we want to give you and your friends/family a little incentive to enjoy eating better. For the month of April we will be celebrating the number 15. For any new member that you bring to the table, we will credit your account $15. And to help you do that, we will give your amigos $15 off their first order when the sign up. Just tell them to use the coupon code “APRIL” and to put your full name in the “Referred by” section of the registration page. A huge, and I mean huge, thank you for all of your patience as we rolled out the new web site. Judging by the numbers this week, many of you took a breather for spring break and missed the transition week. But for all of you who stayed, I owe you a thank you. It is so difficult to launch a new web site when it has to be operational 5 minutes after you launch it. Kind of like trying to complete an oil change on a car while it is moving. You’re gonna have some spillage. Fortunately, it looks like everything is coming together finally and the majority of frustrations for you (and us) are in the rear-view mirror. So we will lick a few wounds then prepare for a great spring that lies ahead of us. Yes, while most farmers are huddle around a warm fire during the winter, Arizona growers are at their peak. 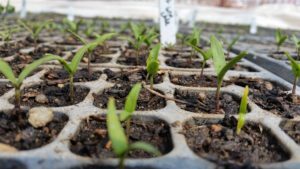 Conversely, many Phoenix farms head into their down-time as most of us are tending to baby plants and waiting for some warm weather to plant. Truly amazing all of the diversity that our region gives us in 400 short miles. We are fortunate to be in such a tasty food region. No shortage of flavors around here amigos. For our farm, we are putting the final touches on a very exciting greenhouse project at our warehouse. Seeds are going to be hitting the dirt (soil please) this weekend and then it will be off to the races from there. 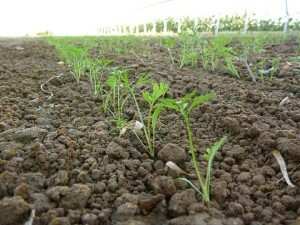 As a part of this big plant out, we will be raising all of the starts for your home garden. So put it on your calendar and get ready for the Annual Plant Sale, May 6th. And yes for you horse-racing fans out there, I do like to plan the plant sale on the same morning as the Kentucky Derby. The first Saturday in May is a great time for baby plants, 2 year old horses, and a Julep or two. The plant sale will begin at 9am and run until 1pm. We will have many varieties but usually they fall into the following plant categories: tomatoes (slicers and cherries), eggplant, zucchini, melons, herbs, peppers, and maybe a handful of other things that we think are fun to eat. Our plant sale is pretty unique (I think) because we like to offer you varieties that we Know grow well here. I have worked in the nursery business and do not like when people sell plants that are not good growers in their area. If you look at plants sold in the big box stores, they are selling the same varieties in Ohio as they do in the Southwest. I bet that I have grown over 80 varieties of tomatoes throughout the years and 75 of those were absolute junk in the SW. They may have won the State Fair in Florida, but in the SW they did not grow. So I will not sell you plants that are not great for our climate. 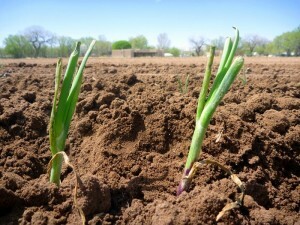 We will also hold some gardening and irrigation classes to help get you on your way the right way. This will probably be a great time to show off our greenhouse project too. So we will host some tours of the house so you can see where your plants are coming from. Lastly this week, I need to apologize to you for the pears this week. We had lots of complaints that the pears ripened at a supersonic rate. From crisp to mush in a day. I am sorry for that. There are times when produce does weird stuff. Ripens, acts, or reacts just in a crazy way. I hate when it happens, and we will credit anyone who was unhappy with any of their food. No questions asked. But let me just say this though, I would rather deal with a finicky piece of produce than bring you some consistent self-stable piece of cardboard. Produce is a tough game. The best a strawberry tastes is the moment before it goes bad. So we tango this dance every week between something that is amazing and something that is too ripe. Most of the time I think that we hit it. But there are (and will be) times when produce acts all loco and it won’t be good to eat. When that happens, please just let us know and we will make it right. We want you to be happy. No hard feelings and no judgements. I promise. A quick note on breads before talking about some functions of our new web site. Breads. Working with the bakery team, we realized that we need just a little more of a cut-off time in order to make the fresh breads manageable for our bakery crew. So we are going to need all of our bread orders in by Midnight 2 days before your order. So if you have a delivery on Tuesday, you need to finalize your bread order by Midnight on Sunday. The rest of your order deadline that you have become used to will not change. This is only for the breads in order to give us a little more time to plan and keep you stocked with fresh bread. 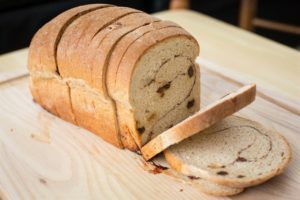 One suggestion is to think about what kind of breads you like and just place those into a recurring order for yourself. Recurring items are the best way to effectively pre-order staples that you need to keep your kitchen healthy and tasty. Your user name and password have not changed. After you log in the first time, Please, Please go to the top right corner and click on My Account and go through every tab to make sure addresses and info looks correct. It should be the same as your current info, but best to double check. Also, because this is a remodel to the site, your credit card info DID NOT move. 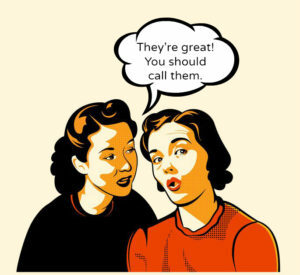 So please do not worry about identity theft with this new launch. All your info stayed in its current secure and encrypted spot. Shopping Cart/Checkout! 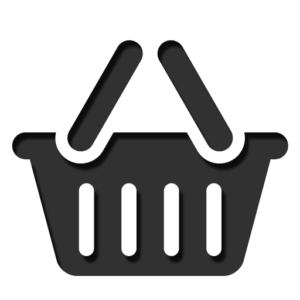 Probably one of the biggest changes, we have added the ubiquitous “Shopping Cart” to the web site. Folks who have been frustrated that we do not have a Checkout button, will now get their wish! You will still have up until your cut-off time to make any changes to your order. When you are done making changes to your order, you have to return to the Shopping Cart basket. You will need to click “Checkout” to finalize and confirm your order. Mobile Ordering. This site is responsively designed to work (and look) amazing whether you are on your desktop, tablet, or phone. You will love the freedom that this new design gives you. I know (from personal experience) that the old design was a nightmare to use on any devices other than a desktop. Prepare to fall in love with this! One-Time ordering. If you are planning on ordering an item just 1 time, I strongly suggest that you use the “One-Time” ordering tab instead of “This Week” ordering tab. When you select “One-Time”, all of your delivery options will show up and so you can select your delivery day and not be “forced” into a delivery day by the system. Every time you Sign In, you will directed to your “Upcoming Deliveries” snap shot. This will show you a) All of the routes/weeks that you can choose from, and b) You will see Any/All of your recurring items that you have selected. From this screen, simply click the “Add Products” tab for the day and week that you would like to receive your order. A very simple way to know which day/week you should be expecting your order. I think those are all the nuts and bolts we need to look at for now. Thanks for all of the support and I hope that this makes your ordering experience much better! We all know the food is incredible, now let’s just make the ordering system as incredible as the flavors. The New Web Site Is Up! Please read about the changes below. Note that we will have next week’s Harvest Boxes up tomorrow by Noon. We are still working through some things with this web site transition, but will have them up tomorrow for sure! An insane abundance of local foods right now. For being the first week of March, I am actually in disbelief. 7 items from the Land of Entrapment for our NM members and 12 items from the Valley of the Sun for our AZ eaters. Truly incredible. Enjoy. You ever notice that as people get older they usually start to hate birthdays? Well let me tell you amigos, I am not one of those people. I love birthdays. Shoot, I’ll even crash a party if I see a clown heading into a house. And because of that, I always love to celebrate the first week of March. 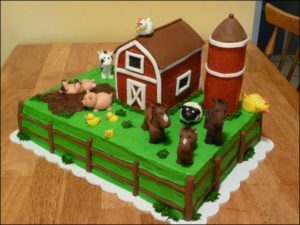 It is the beginning of that spring bug, but it is also the farm’s birthday. 14 years ago this week, I was fortunate enough to break ground on my dream and some land on the Los Poblanos Ranch. I sold my truck for a tractor and bought some seeds on a credit card. And just like that, the farm was off and running. There were only 45 CSA members in the entire city of Albuquerque at that time (thank you Erda Gardens) and this was before the first “Buy Local” button or bumper sticker had even been printed. I had a farmer who was closing his farm and moving to Colorado laugh in my face when I told him about my idea to run a CSA farm in ABQ. I also had someone say it’s a “Lemonade Stand” after looking at the CSA pick-up. This was not some romantic vision of what most people think when they wonder about small farms. There was no afternoon tea breaks. No poetry time in the morning. No stopping to whistle with the birds or sing to my plants. This was the harsh face of reality for farming. Up at 5. 100 degree sauna days. Bugs trying to kill my plants and coyotes trying to kill my chickens/turkeys. No government grants to keep the farm afloat. And no tax deductible non-profit gifts. I believed (and still do) in the sustainable agriculture model, so it had/has to be self-sustaining. With that, where do you find support? Honestly, it is right in front of our faces, the CSA. 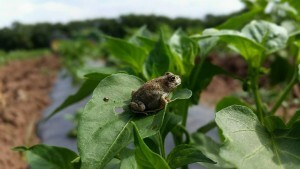 Community Supported Agriculture. The only support that mattered to the farm was that of the community. If we grew it, would people come? Could we find homes for all of the food. What an exciting yet vulnerable position you find yourself in to turn to your community and say “This is my dream, support it please. I need you.” Not an easy place to be. But you know what? Our community has been there for me and this farm every step of the way. Through the bubble, through the recession, and through whatever the heck historians will call this time in our lives. When our farm has needed folks’ support the most, it has been given to us. There is absolutely no sugar-coating it; we are around for one reason only, because you want us here. Our members love our food as much as we love our food. And that’s a recipe for longevity. So I celebrate the farm’s birthday with a very grateful heart for everything that so many people have done to keep this farm and dream going. I also realize that we have so much work left to do. We have seen great strides in the availability of healthy, local foods in our community, but it’s just the tip of the iceberg. Much more fun and greener pastures ahead. Lastly this week, I want to share with you another pretty cool milestone that I am proud to see. 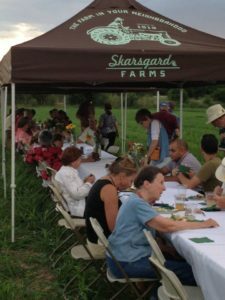 This week our Friends of the Farm membership orders saved over $1,000 for the first time since we launched it. 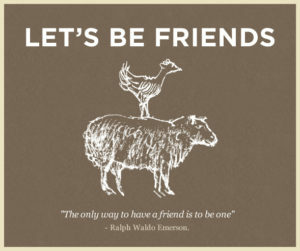 For those of you who are still watching Season 1 on Netflix, the Friends of the Farm is a membership level that we started to encourage and incentivize larger orders. What we realized looking at the numbers (and common sense tells us) that it costs us almost the same amount to deliver a $25 order as it does a $125 order. So instead of penalizing the $25 order, why not incentivize the larger orders? So we did. For this membership, folks who order $75 get 10% taken off their bill. $100 orders will shed 20%. And $125 orders will make 25% vanish from their bill! I have to tell you too that taking 25% off your order is basically like buying wholesale. Local, Organic, Incredible foods for wholesale prices. I have grown tired (after 14 years) of people saying how expensive it is to eat locally. Well, we have done something about it and I am proud to say that our Friends of the Farm members saved over $1,000 this week. All while making our delivery service more efficient. That is what I call a win-win!